[00:00] Anima, [01:08] Mathieu & Florzinho, [05:43] Marga Sol, [09:25] Gold Lounge, [14:21] DigiTube and more. The more likes and plays.... the better chance for being invited to fly to Ibiza and play this set! Have you ever wondered about the results of this competition?.... Me too! That&apos;s what I always say.. :-) Grazie! awesome selection! 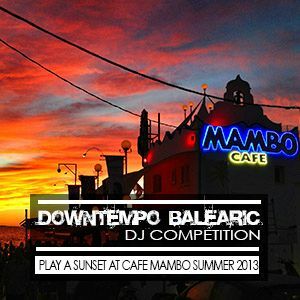 looking forward to enjoy a beautiful sunset in cafe mambo with your mix in the backround..
many many thanks for that! Playing your set right now... chillin&apos; in the shade! AWESOME Man... :) I really like it. Playing again And again. And again. Luv.